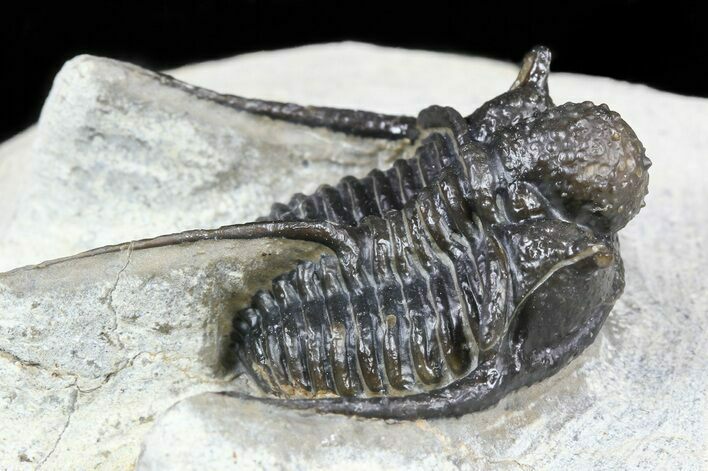 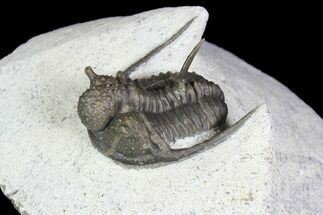 This is an nicely prepared, 1.5" long (including spine) Cyphaspis trilobite from Morocco. 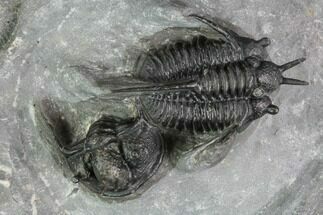 It has very nice shell detail and preparation. 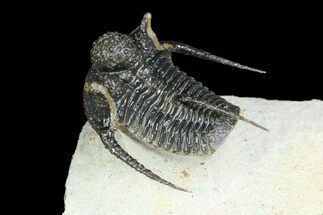 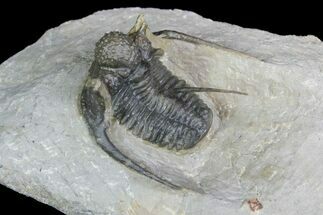 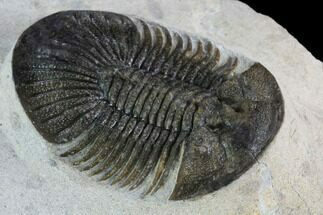 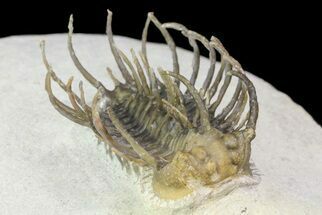 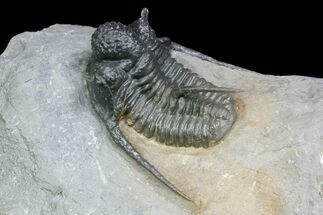 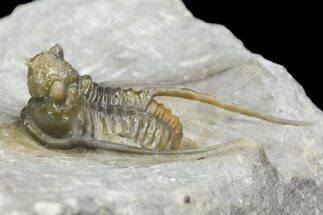 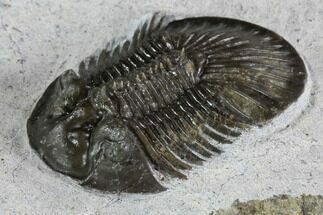 The spines were left partially embedded in the limestone instead of free-stood as is often done with this species.